I had a lot of desire to use the Windows Vista Sidebar in XP as it looks cool and helpful also. So today, I found a special sidebar for use in XP which has original icons and support for all kind of Gadgets from the Live Gallery. 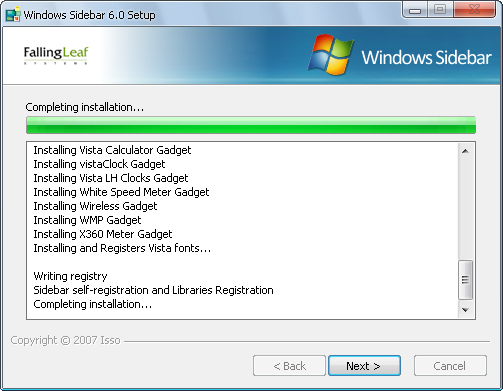 This is the Original sidebar from Windows Vista and is not made or modified by any person. No one can determine if you are using XP or Vista. You can also add more gadgets to it by downloading them from widgets gallery. See the screenshots below of the sidebar in action. 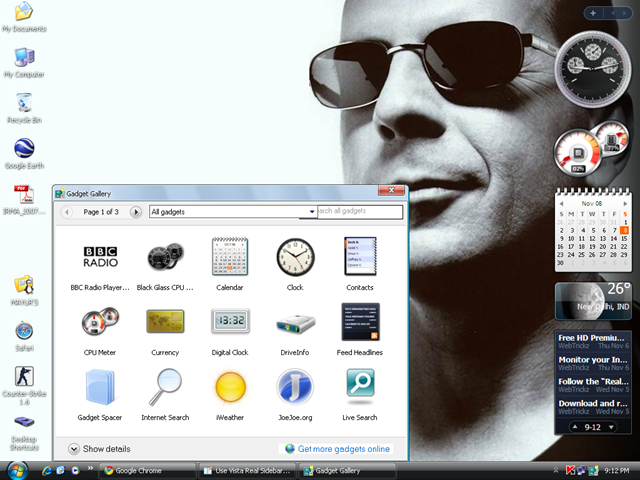 This sidebar looks awesome and provides an original Vista look to your XP system. I am really impressed to use it and will also prefer you to please try it out. Post your comments if you like this post. That is so cool, thanks Mayur. I too liked it and using it with gr8 ease. i am downloading it. i hope it works .if its not working i will use windows vista for free. just go to google and type “vista transformation pack download” and download for free. You’ll surely love it. 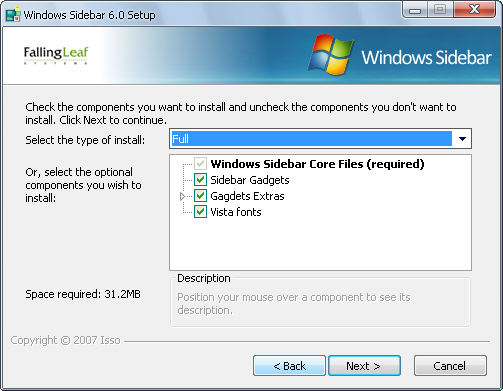 It doesn’t slows your PC and one cannot find the difference b/w it and vista original sidebar. This is awesome. Thanks Mayur! Hey Guies this is really nice post for those who wants Vista Look on their XP Desktop, try it once only surly you will luv it. This is an awsome find mayur thanks i have window’s vista and i am still trying to figure out some of the features but i am willing to try it out i just hopes it works well with my pc thank you. I keep getting a pop up that says that I haven’t enter’d a vailid zip code. In South africa we have postal codes instead of zip codes , our postal codes only have 4 digits … Any suggestions ? Great work, but the only problem i have with it , is if I alt tab through my running apps i see 2 icons which is annoying, One says Form1 and the other has no name, they also both seem to have box shaped icons. i rate it 100% great stuff works fine, this is actually the only post i have ever submitted for any software that i’ve downloaded so all props to ya. Just installing it :-} Good post mayur. it has a malware that my anti virus block…. 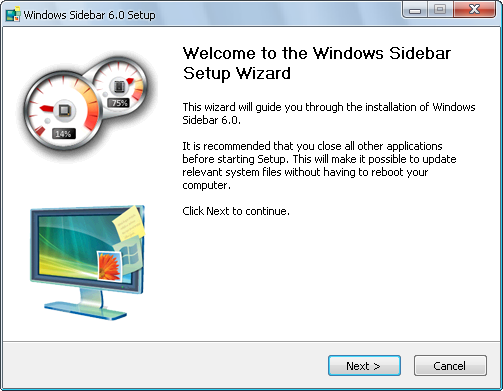 don’t download this win 7 sidebar as it contains virus…………….BE CAREFUL dude………..